When Ashley Nordell posted on FB this past December that she was part of the RaDrabbitPro crew, I had to do a bit of stalking to find out what in the world is a RaDrabbitPro? Before I go further you need to understand that Ashley Nordell is a stellar person, who has worked hard to find a balance between family and training. Her results from 2016: Peterson Ridge Rumble 20 miler 1 place female, Tillamook Burner 50k 2nd place female, Bighorn 100 miler 1st place female and 5th place overall, Willamette Headwaters 50k 1st place female and 2nd place overall, Ozark Trail 100 miler 1st place overall! As you can see Ashley is a talented runner and when she says, “Hey! I have a new sponsor” I wanted to know more. A bit of searching on the interwebs brought me to https://www.runinrabbit.com/, a website for running apparel. Rabbit was founded by two women; Monica DeVreese and Jill Deering in 2014 with the motto of “clothing for runners by runners”. All Rabbit products are manufactured in Los Angeles which gives Rabbit greater control over the manufacturing process and produce products in a more ethical manner. I looked over the men’s selection and instantly gravitated toward the Quadzilla. Who wouldn’t want a short that was named Quadzilla, right?! The Quadzilla’s combination of soft material and good looks had me sold after the first run. 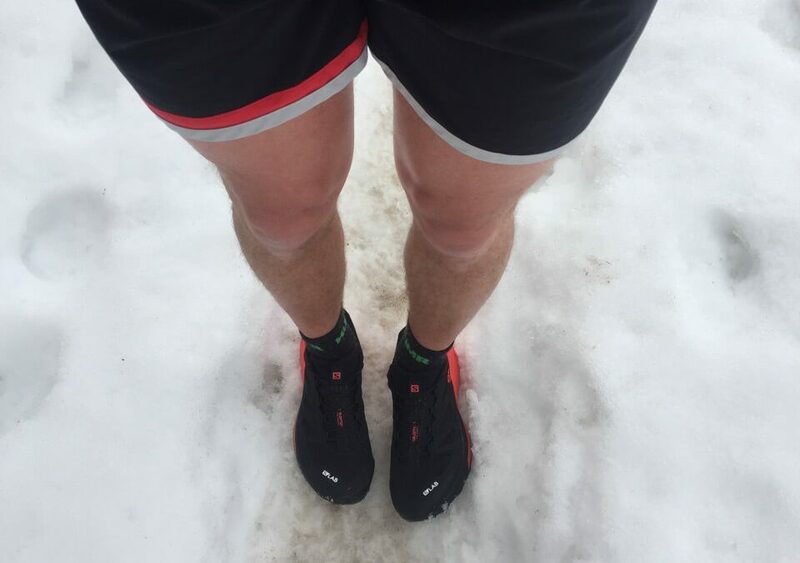 I’ve been able to run about 50 miles in the shorts and no weird chafing issues or premature wear. I really like the two tone pipe on the bottom of the short, it gives it a unique look without being too pretentious. Hands down, the Rabbit Quadzilla gets the TrailManners Stamp of Approval!